Growing up in Atlanta in a fine Christian family, I accepted Christ while a child at Second Ponce de Leon Baptist Church and was baptized by my grandfather, Dr. Lewis Wright, in Spartanburg, SC. Even though I would have said I was a Christian, the actual practice of my faith was what I would describe as “God by convenience,” calling on Him only when I felt I needed Him. But as a high school student at a Young Life ranch in Colorado, I became convicted of this mindset and made the decision to give Christ all my life. That’s when I came to understand a personal relationship with Christ and began to grow in my faith. Young Life has had a special place in my heart to this day. While attending college at the University of South Carolina, I met Anne Hoskins and knew that God had given me a special gift in her. We were married in August 1974, shortly after I graduated, and moved to Augusta, GA, where I started a business career with Puritan Chemical Company. Anne had two more years of college, so she transferred to Augusta State University, now Augusta University, and graduated in June 1976. After about 2½ years of enjoying the business world, I began to struggle with a calling to full-time vocational ministry. I resigned my position with Puritan Chemical and entered The Southern Baptist Theological Seminary in Louisville, KY. While a student at Southern, I was called to serve as pastor of Cove Hill Baptist Church in Carrollton, KY, and was ordained by my home church in April 1978. Upon graduation from seminary in June 1979, I became the first minister to single adults at Second Baptist Church in Houston, TX. Then in December 1981, I became the first full-time pastor of Johnson Ferry Baptist Church in Marietta, GA. Having pastored Johnson Ferry since that time, I can truly say it has been one of the most profound blessings of my life. Our church’s mission statement is a reflection of my heart’s desire, "to love God and worship Him as we reach and disciple people for Jesus Christ". A successful businessman before answering God’s call to ministry, Bryant Wright is a respected Bible teacher, pastor, husband, father, and community leader. He is a straightforward communicator who uniquely connects God's unchanging truth with a diverse culture through compelling and creative teaching. In all services, the message from the pulpit is presented in a teaching style. Always centered on key passages of Scripture, his sermons are practical and seek to explain how Scripture can be applied to everyday life. Bryant doesn’t shy away from controversial issues. If the Bible deals with them, he will seek to deal with them, too. Bryant was called by Johnson Ferry to become the first pastor when it was a mission of First Baptist Church in Marietta, GA, with a membership of about twenty families meeting in an empty doctor’s office. Johnson Ferry now has over 7,300 members and 7 Sunday morning worship services with an average worship attendance of about 4,000. The church is unique in offering traditional and modern worship in all 3 hours of worship. Bryant alternates preaching live in the Sanctuary and Activities Center, with his messages being broadcast into the opposite venue via video. His messages are also available via live streaming at JohnsonFerry.org. Bryant is the founder and chairman of Right From the Heart Ministries. Using secular radio, television, print media and the internet, he provides challenging, inspirational and insightful messages to encourage people in this hard-charging world in which we live. He has authored six books, One Minute of Your Time, Another Minute of Your Time, One Minute of Your Day, Seeds of Turmoil, Right from the Heart, and The Stage is Set. You can learn more about Bryant's resources, listen or view his messages online, and download podcasts at rightfromtheheart.org. 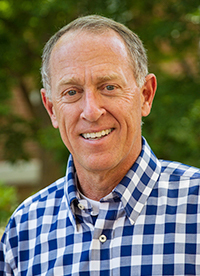 Bryant graduated from University of South Carolina with a Bachelor of Arts in English in 1974 and received a Master of Divinity in 1980 from The Southern Baptist Theological Seminary in Louisville, KY. In 2007, he was granted an Honorary Doctorate from SEFOVAN seminary in Madrid, Spain, and was awarded an Honorary Doctorate of Humane Letters from the University of South Carolina in 2011. A native of Atlanta, GA, Bryant and his wife, Anne, reside in Marietta, GA (suburban Atlanta). They have three sons, three daughters-in-law, and six grandchildren.